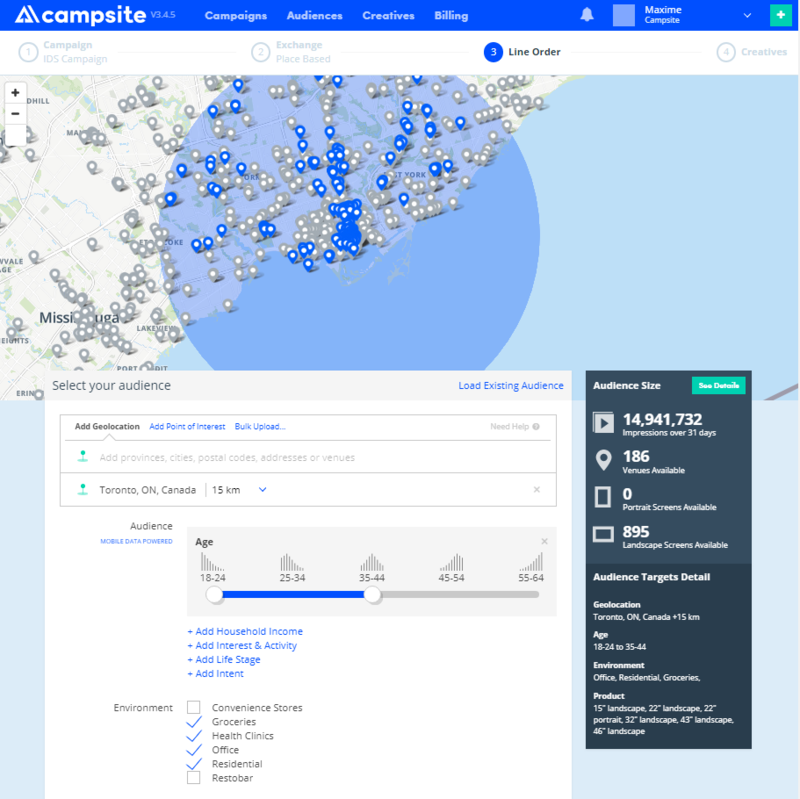 Toronto, March 22nd, 2018 - Campsite announced today the integration with digital software platform Signagelive to provide new revenue opportunities for Digital Out-of-Home network owners and operators. In other words, Signagelive’s clients can now be directly connected to buyers through their access to Campsite’s supply-side platform (SSP). This partnership represents the first full integration of a large-scale CMS with an established buying platform specializing in digital out-of-home media available in Canada. Launched in 2016, Campsite’s products include an SSP, an exchange and a DSP. With over 8000 digital screens across an array of suppliers and environments already connected, Campsite has the largest selection of DOOH screens in a single platform in Canada. “Utilising our open API-first digital signage platform, Campsite has created a seamless integration with Signagelive that enables our network owners to incorporate advertising within their digital signage content without the requirement to build out their own media sales team. We have been impressed with the commitment of Campsite to build support for Signagelive with their platform and look forward to working together”, says Jason Cremins, CEO of Signagelive. Signagelive can now offer media sellers that are using their CMS the option of tapping into a new revenue stream. Network owners can decide how much advertising time they wish to ‘offer up’ to Campsite and control the type of content they wish to allow to be shown on their displays. Edith Gagné, VP of Development at Campsite couldn’t be more enthusiastic about the partnership. “We’re proud of this integration and excited about the potential it brings for significantly growing our scale, in Canada and beyond. It is as beneficial for Signagelive clients to now have the opportunity to efficiently generate new revenues as it is for buyers using our DSP to access more scale and variety of premium digital out-of-home screens,” said Ms. Gagné. The first Signagelive client launching with Campsite is IDS Canada who will be making their doctors’ waiting room digital poster network available to Campsite buyers. “As the demand for DOOH programmatic buying grows, it was critical that our digital signage platform worked seamlessly with our new partners at Campsite. What initially was a challenge, they have worked together to create a brand new solution that allows IDS Canada to offer the high quality of our screens through the Signagelive platform, to the Campsite programmatic buyers of DOOH” confirms Jeff Mamer, VP of IDS Canada. Signagelive’s digital signage platform is used globally by over 1,900 organisations to manage their networks. Supplying digital signage software and services to multiple markets including retail, education, and hospitality, to over 46 countries across EMEA, Americas and Asia Pacific. Its innovative technology media playback software is written in HTML5, is cloud-based and is compatible with an unrivalled number of display screens, mobile devices and video wall display systems. DS Canada is a leader in the point-of-care, healthcare waiting room space. Part of an international organization of over 50,000 healthcare waiting rooms in 13 countries, IDS has been operating in Canada since 1999. They provide consumer information – through digital, brochures and print poster media – to over 3.5 million Canadians every month in their 1600 family practice clinics across the country. Their 65 field service representatives visit every location and also conduct in-person research and sampling programs for consumers, physicians or the all-important clinic staff.